Unless handicapped or our well seasoned members please do not park on the upper grounds please. Acton Train station – 287 parking spots available spread out over 3 locations. Two near while the third is a 10 -15 minute walk North on route 27 from Iron Work Farms. Good food, Good drink, Good desserts. Your own chair. $200 cost/year so please give a cash donation to help pay for it. Meet the porta potty vendor Fri 8/14 or Sat Early 8/15 to oversee the drop off of it on the property (details will be supplied as we get closer). Setup tables, chairs, trash cans, other on site Early 8/15. Paper plates – Chinet disposable ware is good. It is thicker than traditional plates which leak. For 2018, we hope to move back to New Hampshire where we might meet at The Camp in Stoddarh which offers the mountains, lake and blueberry picking. Discussion is needed. Come, enjoy, share stories of your year. 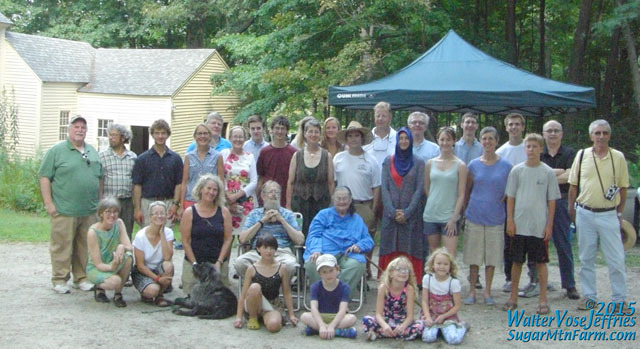 Panorama of Faulkner Reunion 2016-08-20 at Iron Works Farm in Acton, Mass. Who is in the photo but shouldn’t be? What large item is missing from the photo? Do you not see anyone who was there? 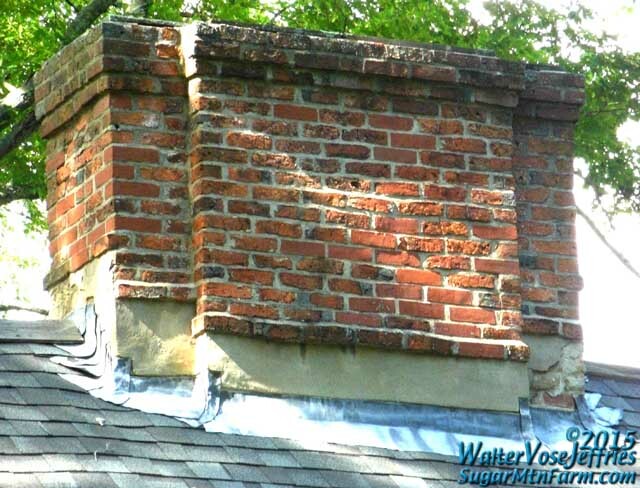 If you have photos you would like to share send them with a caption to me at walterj@sugarmtnfarm.com and I’ll add them to this page. If you would like an account as an editor so you can share family stories on this blog then also contact me and I’ll set you up. You can also leave comments on any of the pages on this blog. PARKING: Unless HANDICAP or OUR SEASONED members do not park on the grounds please. Choices include Jones Tavern – in front or behind. BRING: Good food, Good drink, Good desserts. Your own chair. If someone has a large property (Butterfield? Andorra?) and sufficient plates, cups, forks, spoons and wants to hold a future reunion, step up. Until such time, disposable is our only option. FRIENDLY NOTE: With so many of my generation in the family it seems a tad odd that the responsibility falls on me to pull this off. Do your part. Spammers have found FaulknerGathering.com so I have restricted the ability to create new accounts. If you are a family member and want to create an account so you can leave comments and such then just drop me an email at walterj@sugarmtnfarm.com with your name, family relation and email address. I’ll then setup an account for you. We are eager to know who will attend the unveiling of the portrait of Ellen Faulkner at a Tea on 4:30 pm at the Cheshire County Historical Society in Keene on November 15 2014. Please let us know if you can be there. A dedicated attendee of the Faulkner Gatherings has died. Jean Lane, daughter of Helen Faulkner and Douglas Whitcomb, passed away Oct 15, 2014 after a period of failing health. Services are Oct 28 in Northwood NH. We will attend. We shall honor her memory with lemonade in August 2015. 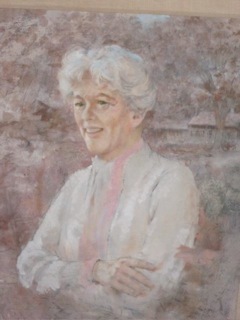 Speaking of honoring a memory, we are eager to know who will attend the unveiling of the portrait of Ellen Faulkner at a Tea on 4:30 pm at the Cheshire County Historical Society in Keene on November 15, 2014. Please let us know whether or not you can attend. One of my aunt Christine’s great passions is for making artful ceramics. She has a studio at home and also practices her craft at Earth Star Pottery in Hartland.